When it snows in the South everything shuts down- schools, stores, and even the office. So at the first forecast of snow, we head to the grocery store and stock up on the essentials- milk, bread, water and wine. The only thing they don’t sell at stores is the cure for cabin fever, but fear not y’all I’ve compiled a true North Carolina Snowbound Survival Guide. Roll out your exercise mat, grab some weights and a water bottle. 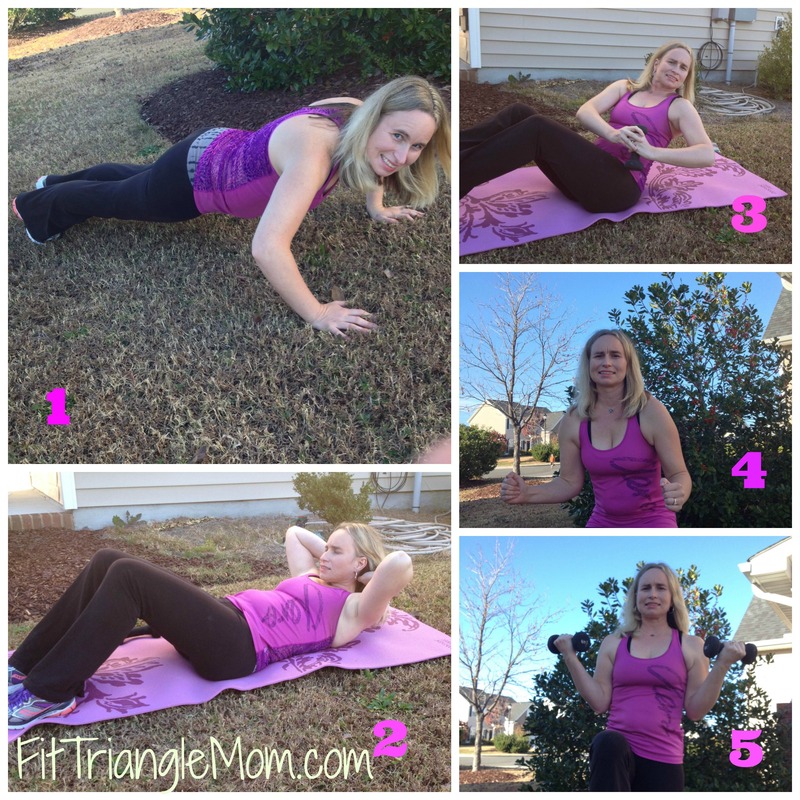 Check out my post about Energizing Your Exercise. It includes a playlist and a sample workout. Or Sign up for a Free BeachBody Trial Membership with online workout videos. Cold weather and crafts just seem to go hand-in-hand. 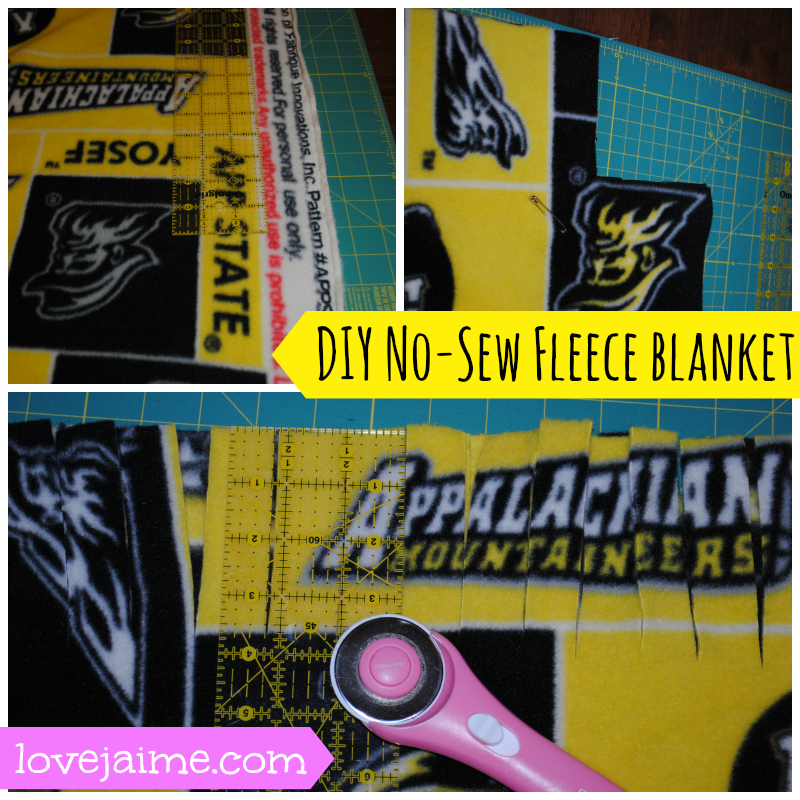 You’ll stay warm and snug with this No-Sew fleece blanket craft plus find other craft inspirations at the Love, Jaime blog. When I get the cold weather blues, I like to think of warm and sunny places. Summer beach vacations are my favorite. I love reading Leigh Hines travel blog- Hines Sight and being whisked away to a luxury hotel or resort. 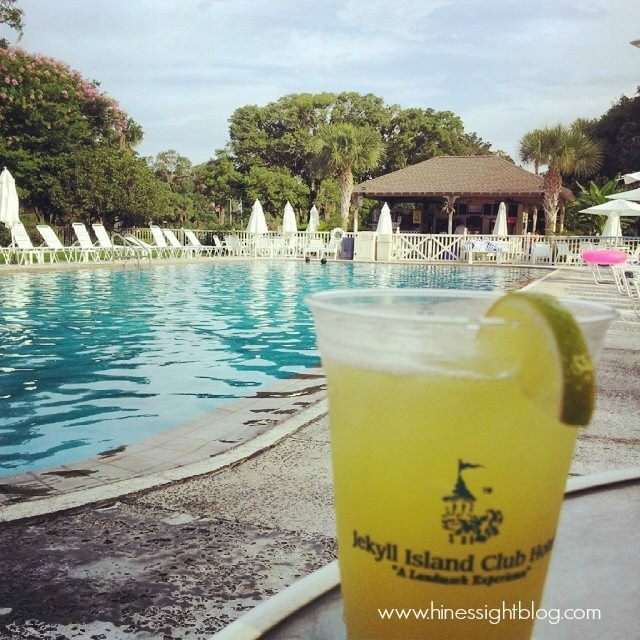 You can read more about her recent trip to Jekyll Island in Georgia at The Jekyll Island Club Hotel. Looking for a new book to read and not sure what to choose? Then head on over to Tanya’s blog- Mom’s Small Victories and discover what she’s reading or has written a review on. I also enjoy reading books from my friend and local author, Heidi McCahan. Her inspirational books are a mixture of romance, sports and her native Alaska. Whether it is cold and creamy–snow cream or warm and hearty–chili, I got recipes to keep you busy in the kitchen. I know cleaning is not high on your list of relaxing and fun activities, but when you’re stuck inside you might as well catch-up on those neglected closets and drawers. Rather do it today, then on a warm sunny day. 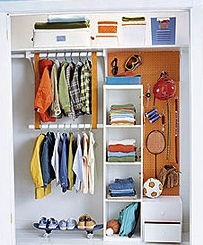 When I think of organization, I immediately think of Molly Gold of the Go Mom blog. She writes informational posts about staying organized. My favorite is her post about closet organization. So start your organizing now, and so you don’t have to worry about it later. Most Realtors will tell you that the “hot” real estate market starts in the Spring, but for buyers and sellers in the Raleigh area– spring comes early. So while you’re snowed in, visit my Raleigh area Real Estate website- RachelNCREALTOR.com, and get the insider details on this hot market. My interactive website offers up-to date home listings, a find your home value tool, mortgage calculator, download my home search app, and become a market expert. I hope you stocked up on the basics like bread, milk and wine. I hope your power is on, the heat is running, and your WiFi is working. Now sit back, relax and enjoy being snowbound. Please share in the comments how you are handling being snowbound, and if you tried one of the activities listed in the guide. Most importantly, stay safe! Allison recently posted…My husband doesn’t read my blog. Thanks, Allison. I go stir-crazy when the kids have “snow days”. Hoping it won’t be as many as last year. Thank you so much for sharing. Could we be in for a rough winter? Thanks, Kate. Exercise is a personal favorite, but it sometimes can be forgotten. Thanks for commenting. Hi Rosa, We don’t have much snow in North Carolina either, but when it does snow everything shuts down. Thanks for commenting. Great list! I think I will plan my summer vacation! Thanks, Tina. I need to start planning my summer vacation too.